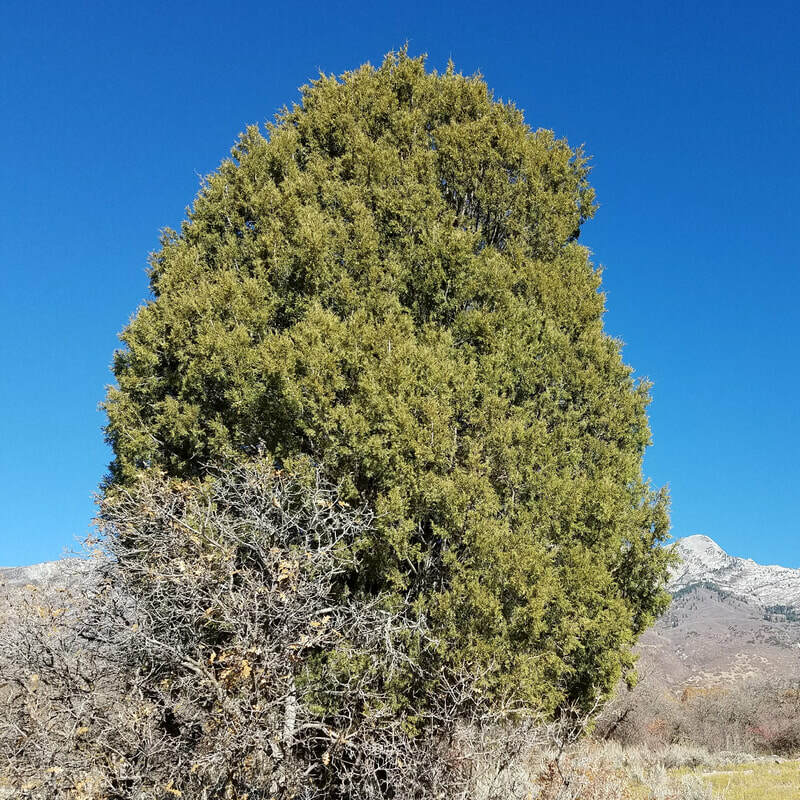 Now that the scrub oak has lost it's leaves, and the Rocky Mountain maple is in serious decline, it's time to look at the evergreen trees in Lambert Park! 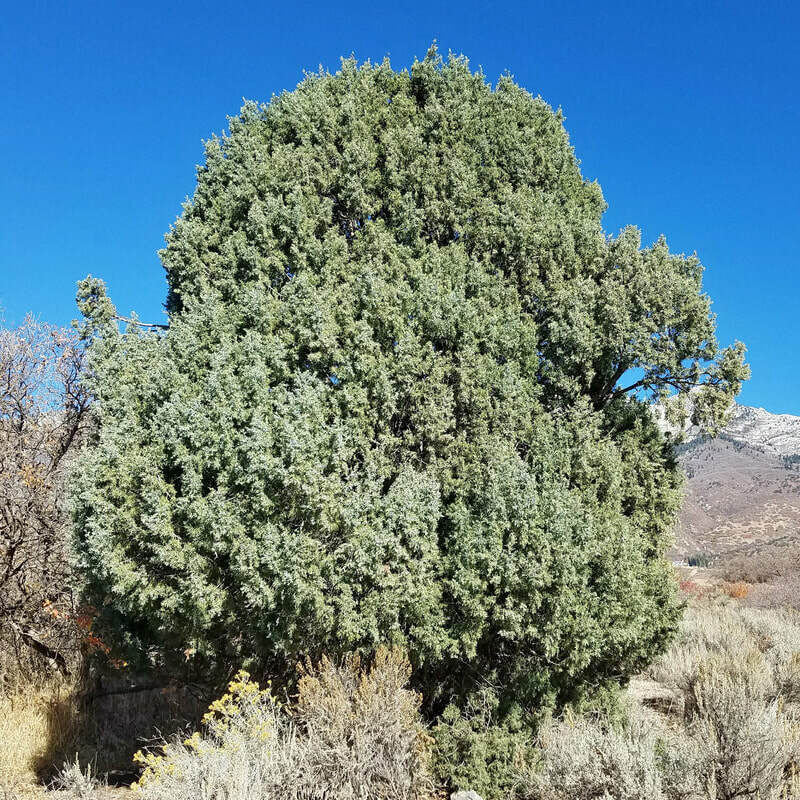 There are a number of Rocky Mountain juniper trees dotted throughout the park. 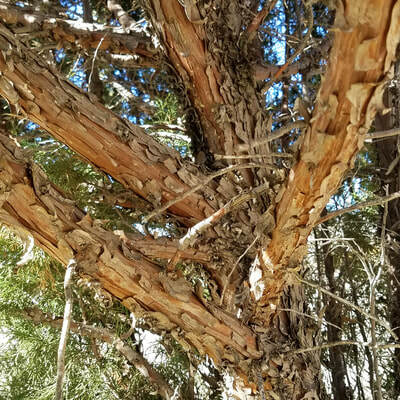 Some people might be tempted to call them Cedar trees, but they would be making the same mistake the early settlers of Cedar City made when they named their city Cedar City instead of Juniper Junction. 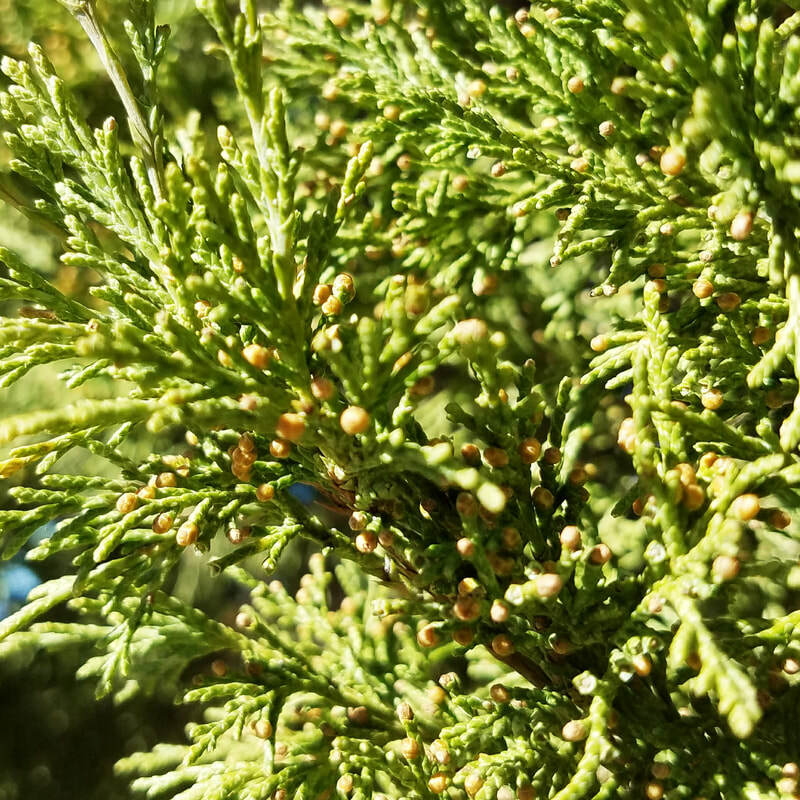 Cedars are native to the mideast, although some non-cedar trees have a common name with the word cedar in it. 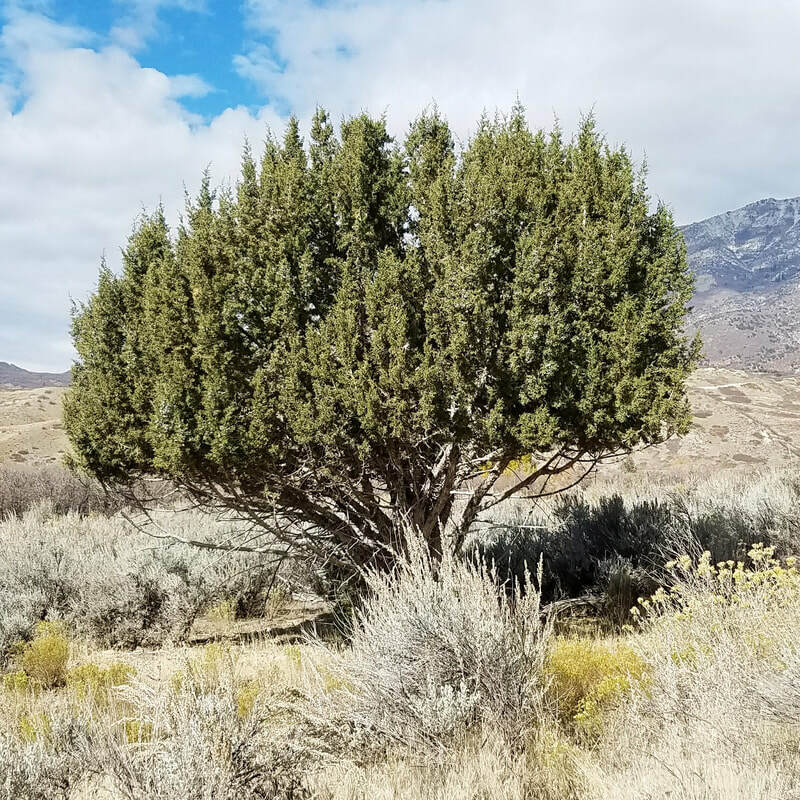 Additionally many people are apt to confuse Rocky Mountain junipers with Utah junipers (also remarkably common in Utah). 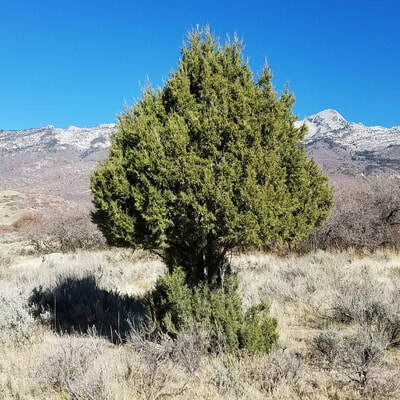 Happily, we have at least one Utah juniper in the park! 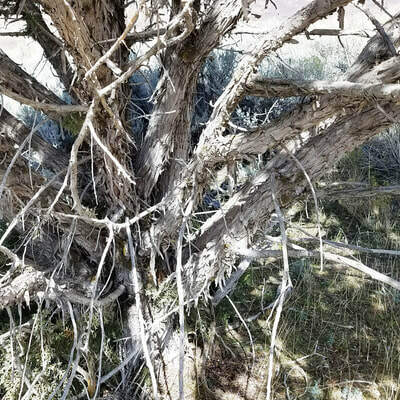 Let us know if you find more than one! 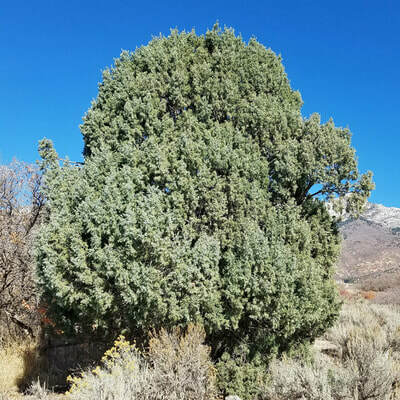 Which of these three trees is Utah juniper and which is Rocky Mountain juniper? 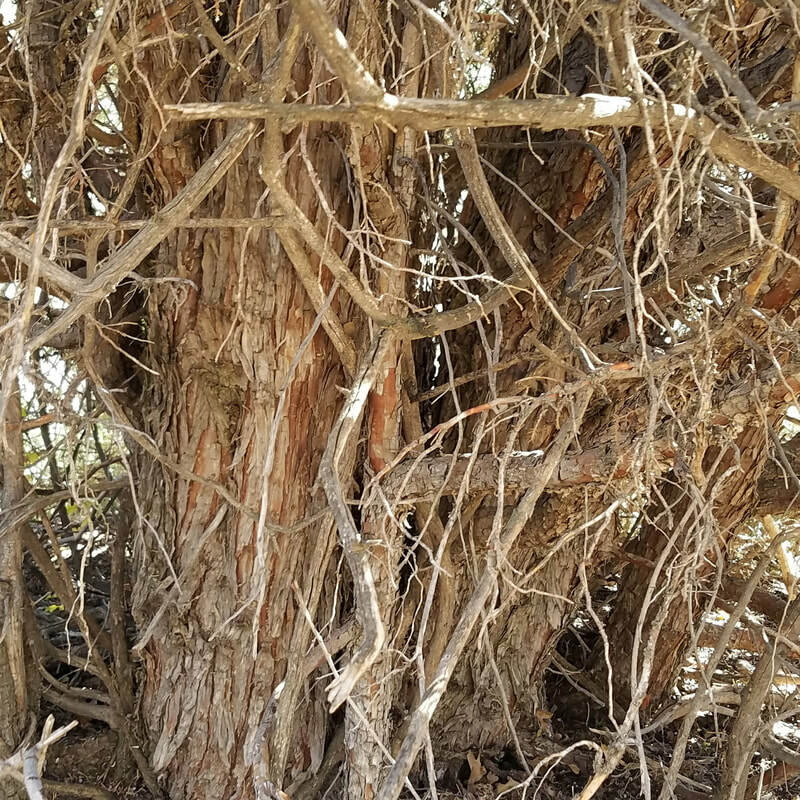 Answers below! 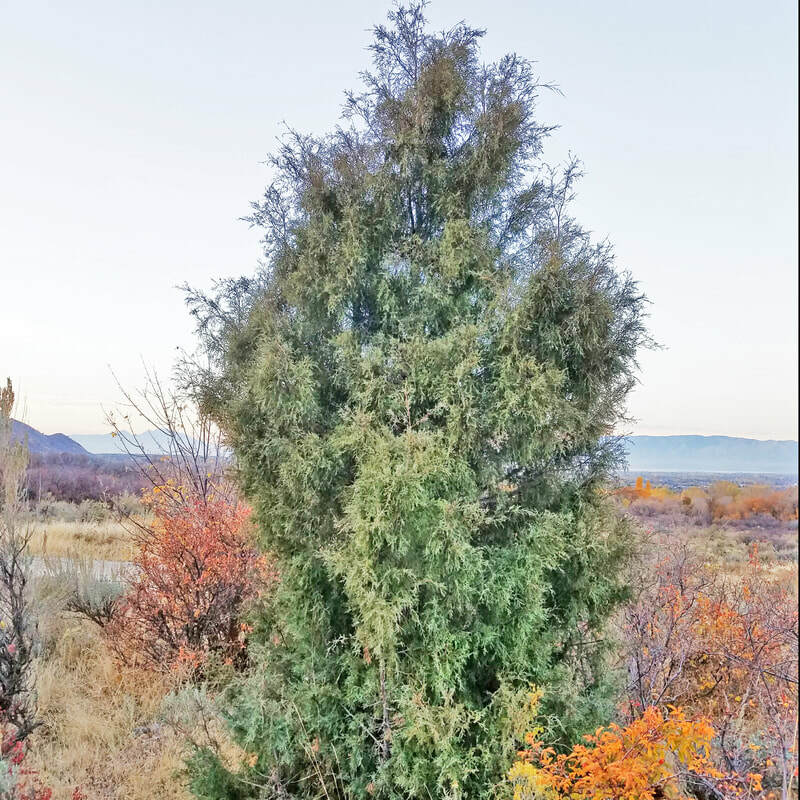 Is it a boy or a girl Rocky Mountain Juniper? The male Rocky Mountain juniper( Juniperus scopulorum) has small, brown cones on the end of some of the shoots. 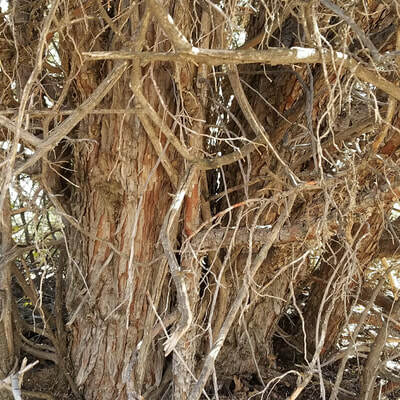 This one is particularly tasty to the deer, as you see the bottom is heavily browsed! 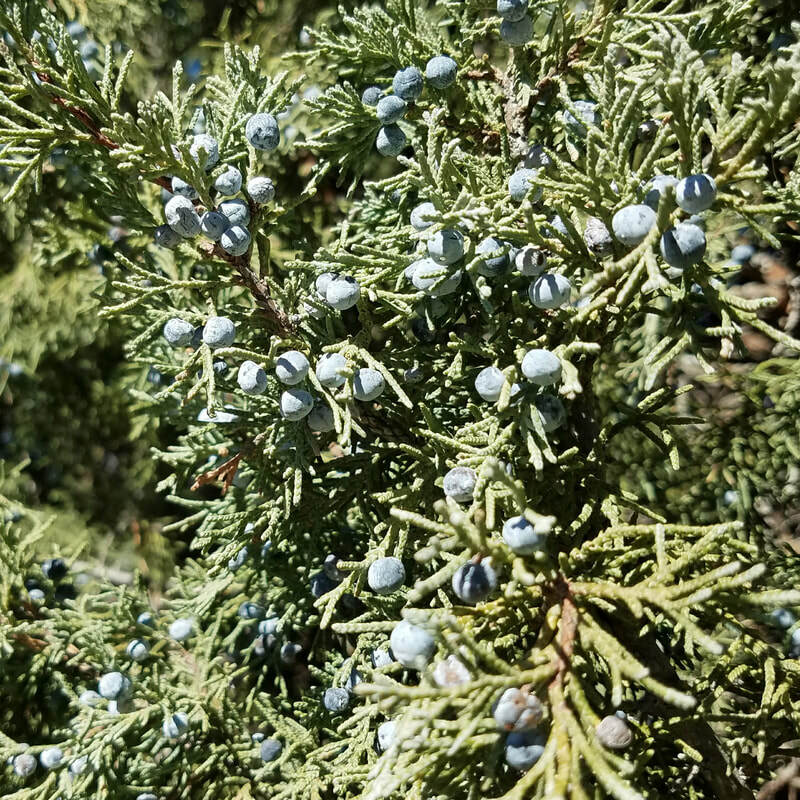 The female plant has small blue berries (also called cones). This tree is over 30 feet tall. 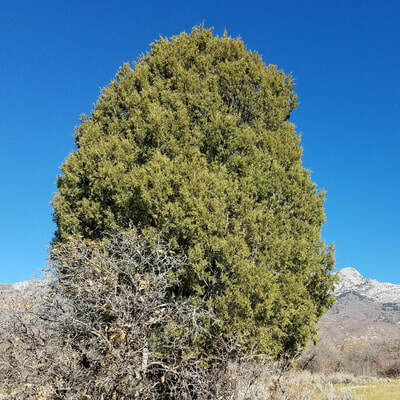 Utah junipers (Juniperus osteosperma) have both male and female cones (berries) on the same tree. If you answered that number 1 is a Utah juniper and numbers two and three are both Rocky Mountain junipers, you would be correct! The Rocky Mountain juniper is sometimes called a "weeping" juniper because it's leaves are feathery and droopy. The Utah juniper has tight clusters of leaves with both male and female cones (berries) on the same tree. 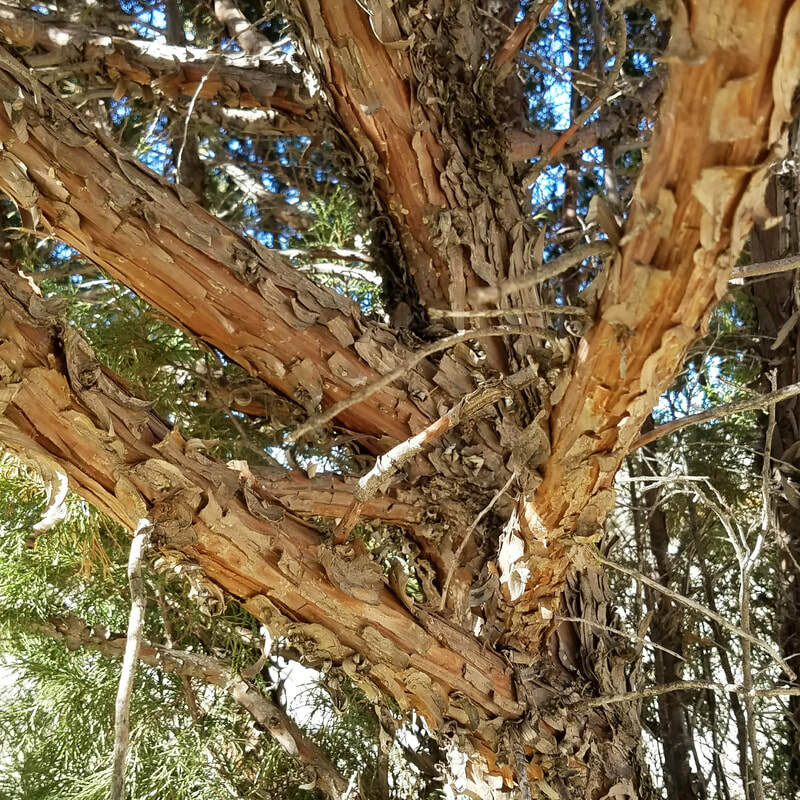 The bark of the Rocky Mountain juniper is reddish, where the Utah bark is gray. 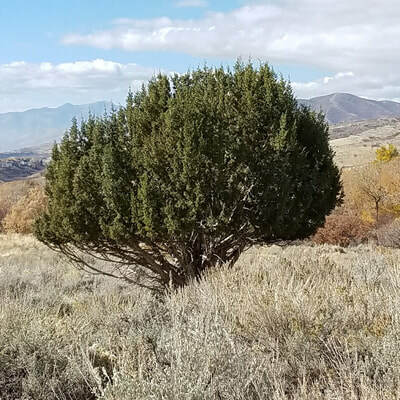 In addition, the Utah juniper branches out from the base, into a broad spreading tree that can be as wide as it is tall. The Rocky Mountain juniper grows straight up from a central stem and is peaked or rounded at the top. 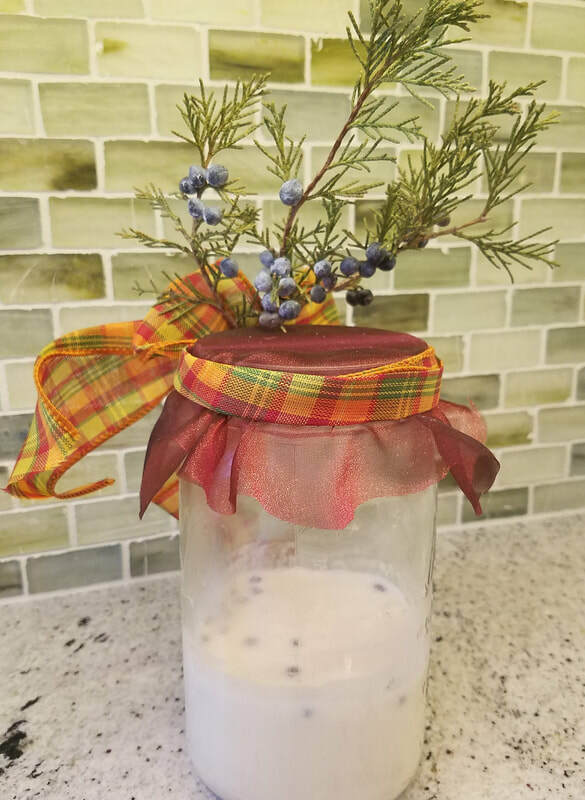 Not only is the natural yeast in juniper berries used for making gin, but it can also make a great sourdough starter! Alpine Mayor Sheldon Wimmer shares a tried and true family recipe with us. 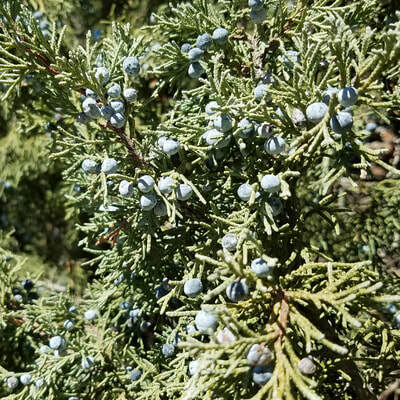 ​Take about a dozen juniper berries and make sure they have a glabrous, milky-white coating. Put them in a jar with a cup of flour and a cup of warm water and loosely cover. Let rest for a week on the kitchen counter. After a week, remove the berries and add a cup of warm milk and another cup of flour. Stir and let set for a day or two. You now have a great sourdough start. Store your start in the refrigerator and add to it after use. 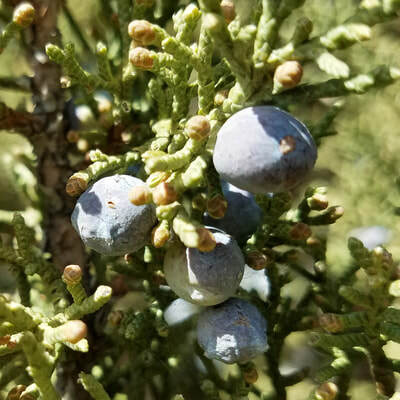 Try it, it makes great Juniper Berry sourdough starter for both sour pancakes and bread.